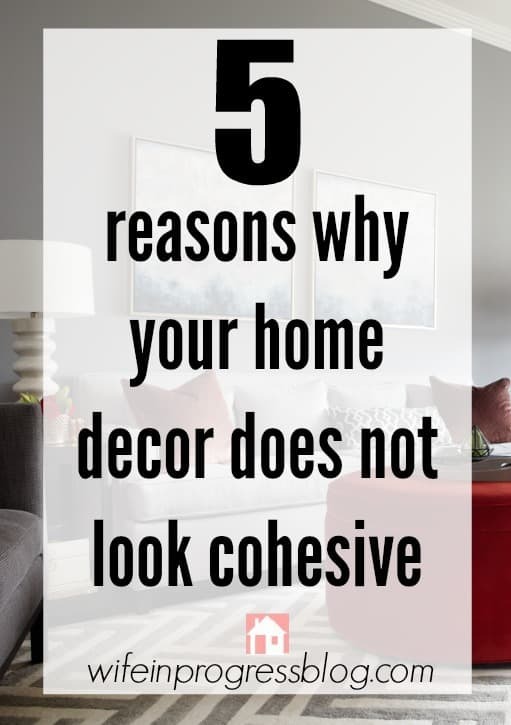 If you previously read my post “5 Reasons Your Home Decor Does Not Look Cohesive” you’ll remember me mentioning that having a defined style is so important. But what if you don’t know what your style is? Or you love every style!? When it comes to decorating, many people truly understand what their personal decorating style is. As a result, their homes lack cohesiveness and uniqueness. Today I’m going to share some tips for my popular (FREE!) email course that will help you define your decorating style. I’ve had great feedback from everyone who’s taken the course that this particular lesson has really given them the clarity they needed. Create a new board on Pinterest. Call it “Home Inspiration”, “My Decorating Style” or something along those lines. Next (and take as long as you need with this step), pin images of interiors that really speak to you. Aim for 15 – 20. ONLY pin if you truly love the image. If you only love a particular element, note that in the pin description. Look back through what you’ve pinned and delete anything that you don’t really love. Finally look at the accessories and other details. Do you like lots of pops of color by using throw pillows, art, etc? Is there a lot of wood tones? Lots of soft furnishings? Maybe you prefer the minimal look? Once you’ve analyzed all these elements, try to describe your style in 1 – 2 sentences. Don’t worry about putting yourself in a box. You don’t have to be strictly “farmhouse” or “modern”. You can certainly be a mixture of a few different design styles. For instance, I would describe my style as transitional with a touch of rustic farmhouse. I clean lines and symmetry, and I prefer neutrals like grays, blues and creams.Overall the atmosphere I’m drawn to is clean but casual. Once you understand your decorating style, it’s so much easier to shop for items for your home. You won’t have to second guess whether something will work, whether the colors will match. As you become comfortable with your personal design choices, you’ll instinctively know what will work and what won’t. 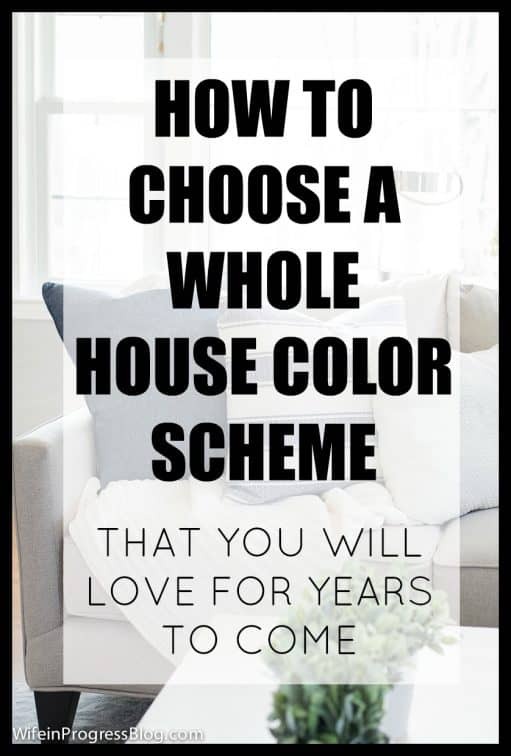 You’ll be well on your way to creating a cohesive home, and you won’t constantly be purchasing items that you’ll never use, thus saving money (or at least saving a whole lots of returns!) in the long run. Found this helpful? Then you’ll love my Free Email Course: Home in Progress. Sign up below and start receiving lessons right away! Well put! I used that same method for reorganizing and designing my linen closet for last fall’s ORC and it made a HUGE difference. I definitely fall into the category of loving lots of different designs. And I also love color…which can quickly look haphazard in home design.